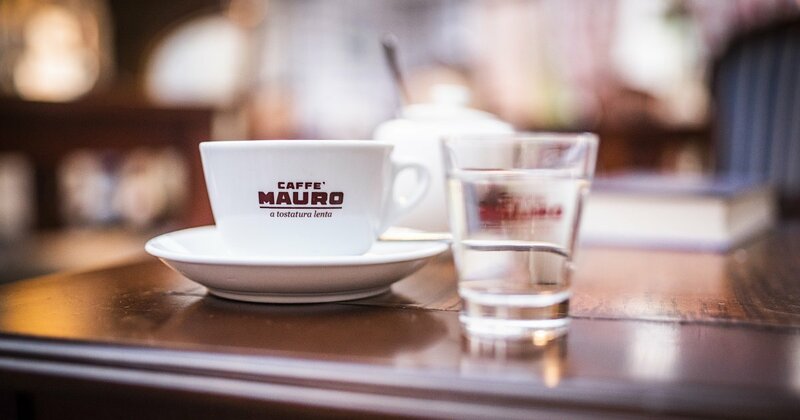 Organised by St Bruno conference was perfectly prepared, and thanks to hospitality and kindness of the staff it will stay in participants' memory for long. 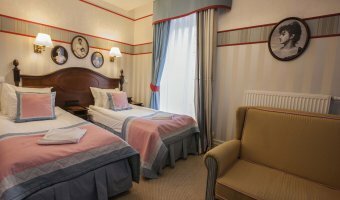 Guests have at their disposal 3 spacious Superior Double Rooms, offering a superior standard of design and room facilities. 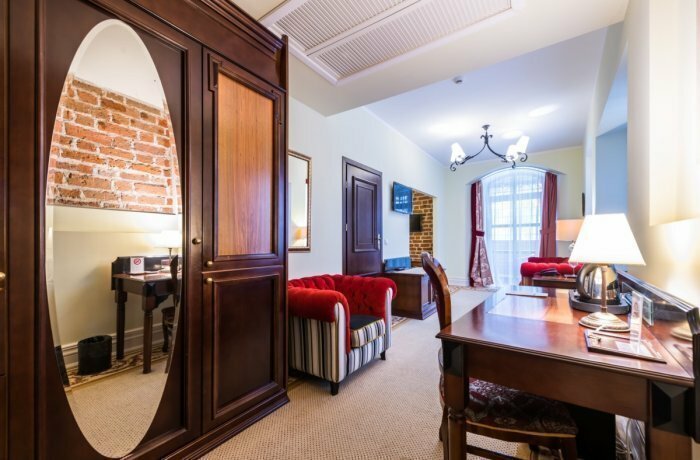 All of them are located in historical, castle part of the hotel. 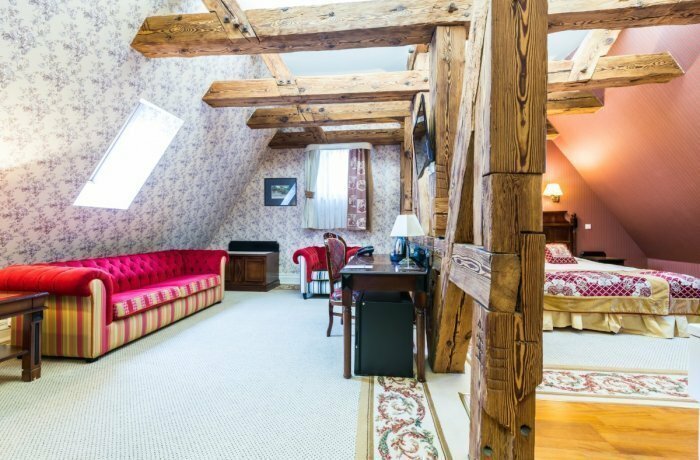 One of the Superior Double Rooms with a mezzanine has a unique ceiling height, exceeding 6 meters, which is a rarity when it comes to hotel rooms. 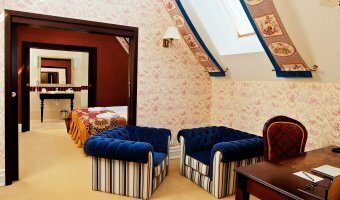 Guests are invited to use a cosy library which is located on the mezzanine. 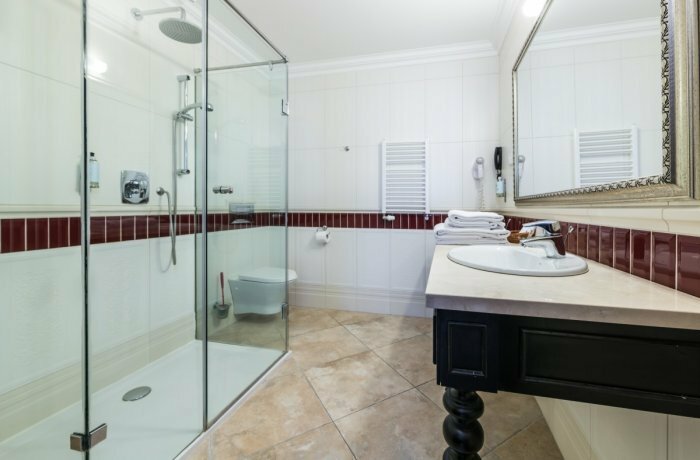 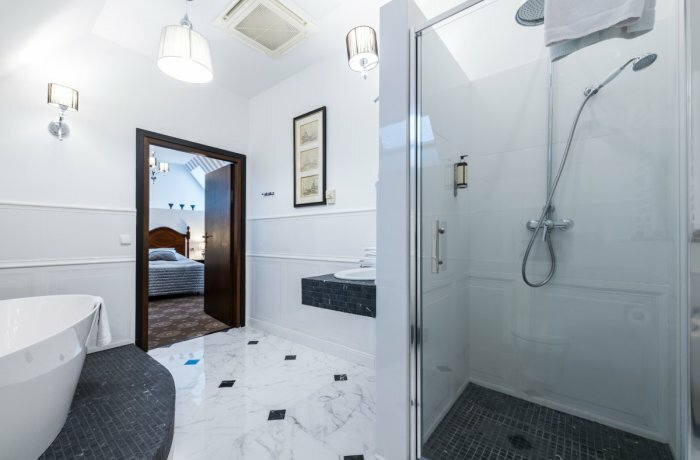 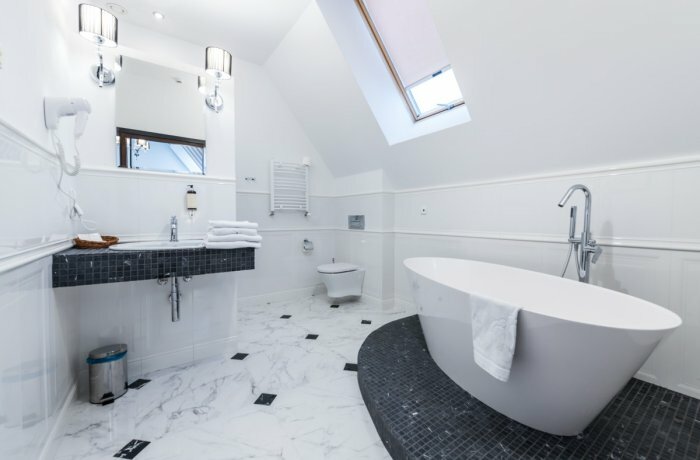 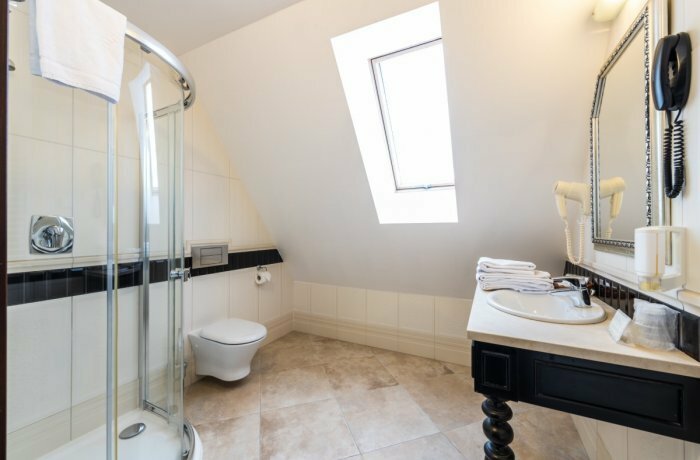 The bathroom in another Superior Double Room, apart from having a standard bathroom, is equipped with an additional two-person bathtub. 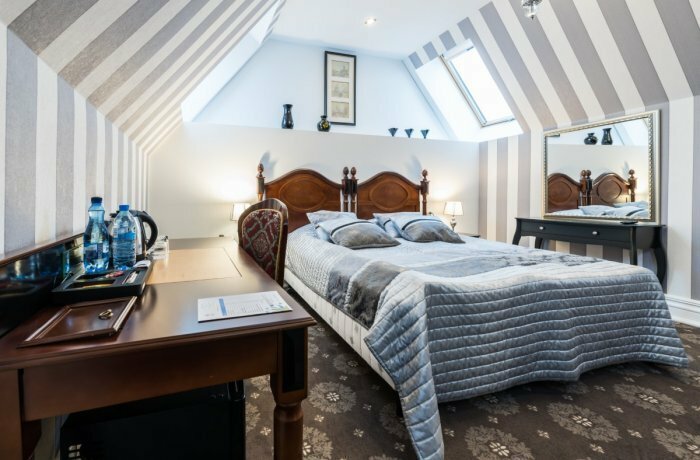 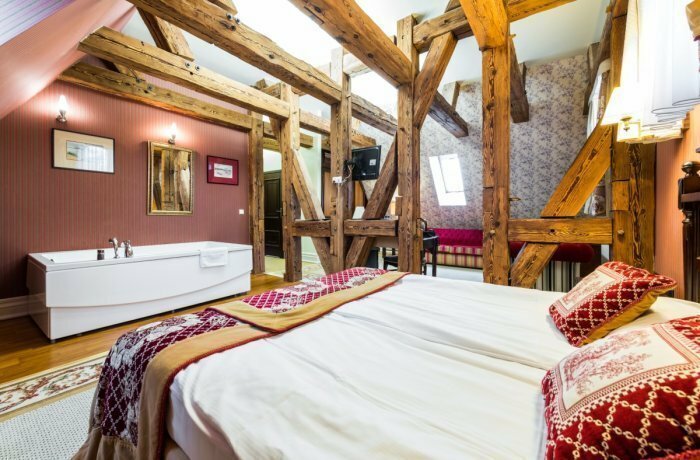 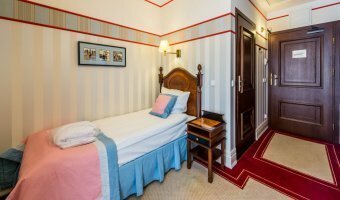 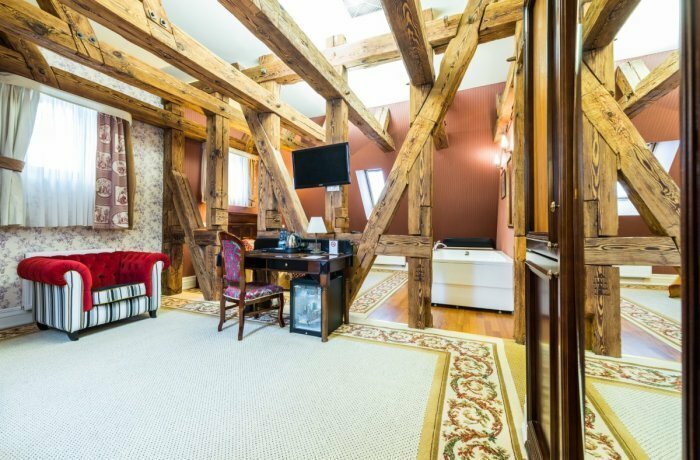 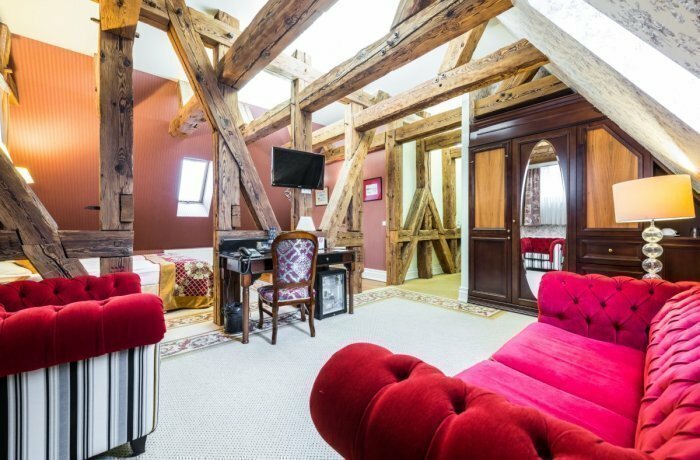 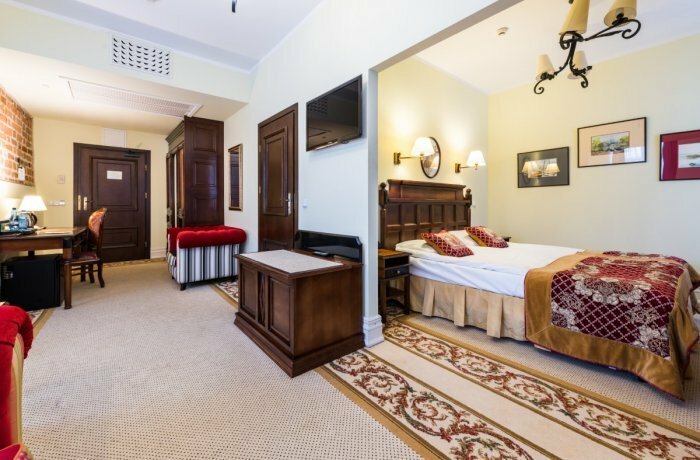 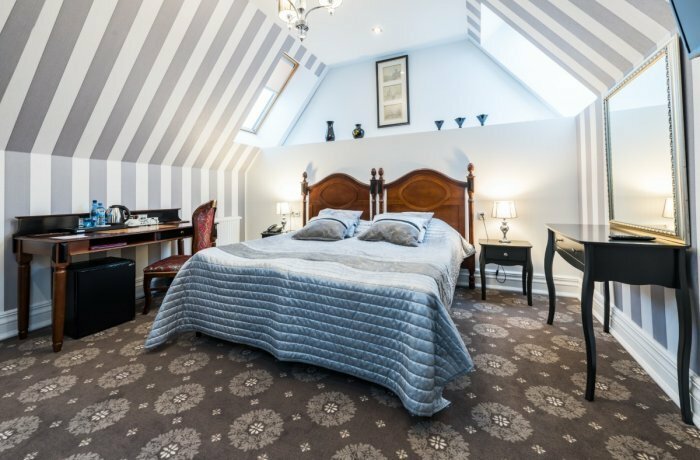 It is worth mentioning, that superior rooms offer a unique opportunity to admire well-preserved historical elements of the original 18th-century castle.